"Very Clunky to use "
I do like that it helps our team collaborate and update our projects for each other to see, add documents for the team and also notes. This product is very clunky to use and almost feel outdated. With other products out there meant to help teams in the same way, this product is not worth the enormous expense it is to our team. Also, it doesn't show you that something is assigned to you after someone else completes a step, so you still need to email that person with your progress. Basecamp is a great program to help teams manage projects compared to this. I am sure there are other cheaper ones too. We can now see progress of work on a project, who needs to see it and where it needs to go yet, give a nice over view of the entire project. 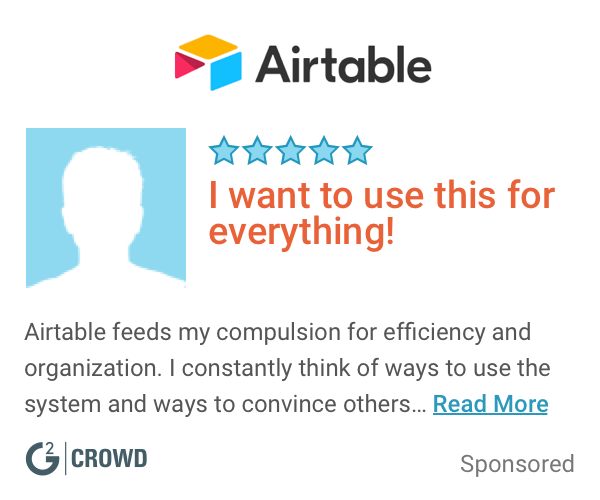 "Great Collaboration Tool for Big Teams"
Love the ability to review creative pieces and provide commentary directly in the tool. Love the ability to create and customize project request forms. It can be difficult to find what you're looking for, but I think that may be because of the way my company uses it. Sometimes project requests are easier to find than the actual project. Initial setup and user permissions are important in making sure the tool suits your needs. This has helped our team collaborate without the use of paper/printed creative and handwritten feedback. The robust permissions allows us to show only what we want to show to specific users. This is important during our creative process because we can control how involved various groups in our organization can be. 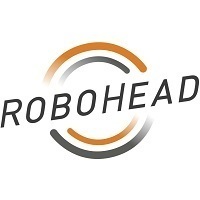 "Powerful for a small to mid-sized department"
RoboHead allows separate campaigns, tasks, goals, and custom fields, across multiple teams and roles which makes it very flexible. The ability to comment on version-controlled reviews, and use gantt charts for planning take it to the next level. There is little to dislike, just be sure to set expectations and business "rules" around how you want people to use it. If anything, there could be a little more flexibility and intelligence around priority and impact ranking of projects to help your team during busy flood times.Maybe more workflow about teams, roles, and tasks, etc., but no real complaints or issues. Assigning tasks to a whole marketing production team and tracking/completing projects. 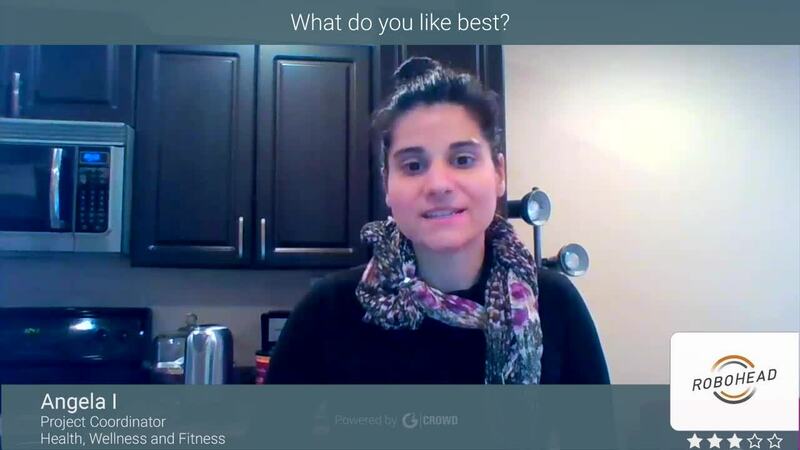 "pretty good once you get the hang of it"
I loved the Gantt chart timeline format. Really when it comes to project management, this is a good software, it is just a matter of training up the users which is always the struggle. There is no back button! That is probably the biggest flaw/annoyance. Also, the learning curve is kind of steep. There are a LOT of capabilities built in to the system, I wish there was a way to simplify it to show only the things you use. I think there probably is a way to do that, but because of so many functions, I wouldn't even know where to start. We brought accountability into our project whereas we did not have it before. Keeping all commenting and transactions inside the project was great because it helps hold people accountable and organized in order to track everything. "Super easy to use, could improve roll up reporting"
The roll up reporting is limited, so in terms of reporting across products/projects, I'd like to see more robust capabilities. Keeps track of our project dockets, enables us to manage people resources well, and I love that I can access everything for every project in one place. You can adjust the project timelines using the gant chart. It makes it simple to drag and extend tasks over to new dates. I also appreciate that you can set notifications when it's time to begin your task, or notify someone else that they can begin. Setting up the different types of projects and tasks was a little cumbersome but it all paid off! This tool helped our team collaborate more efficiently. Creative projects were submitted through Robohead and then reviewed and approved, and it allowed everyone to track changes and the status of projects. "Robohead is a great creative automation tool"
I like it's ability to keep tasks and approvals organized for projects. Highly recommend this product to others who need a way to manage projects across a department. We are able to track and manage projects easier now. "Effective software for submitting requests to design team"
I appreciate the organization and simplicity of submitting projects when managing so many. There are several tabs projects fall under. I use it to create marketing materials in collaboration with the design team. It has been an efficient way to complete these tasks. You can’t tag people in comments within a review. You have to write a separate note. Robohead is great when a document needs to be approved by a bunch of people. "Great for individual large projects"
* We monitor all RoboHead reviews to prevent fraudulent reviews and keep review quality high. We do not post reviews by company employees or direct competitors. Validated reviews require the user to submit a screenshot of the product containing their user ID, in order to verify a user is an actual user of the product. Hi there! Are you looking to implement a solution like RoboHead?